Thanks to a post card campaign by the residents of Plainfield Tower West, a Springpoint Senior Living affordable housing community, LeadingAge members were able to meet with Senator Cory Booker’s staff to discuss issues facing senior service providers in New Jersey on November 9, 2017. Topics discussed include funding for service coordinators, the housing voucher program, and the current tax reform legislation’s impact on senior service providers and recipients. The Senator’s staff who were present reassured our representatives that we are all on the same side, and they are ready and willing to assist our members in continuing to provide much needed services to one of our state’s most vulnerable populations. Thanks to Springpoint Senior Living for allowing us to be a part of this meaningful meeting! 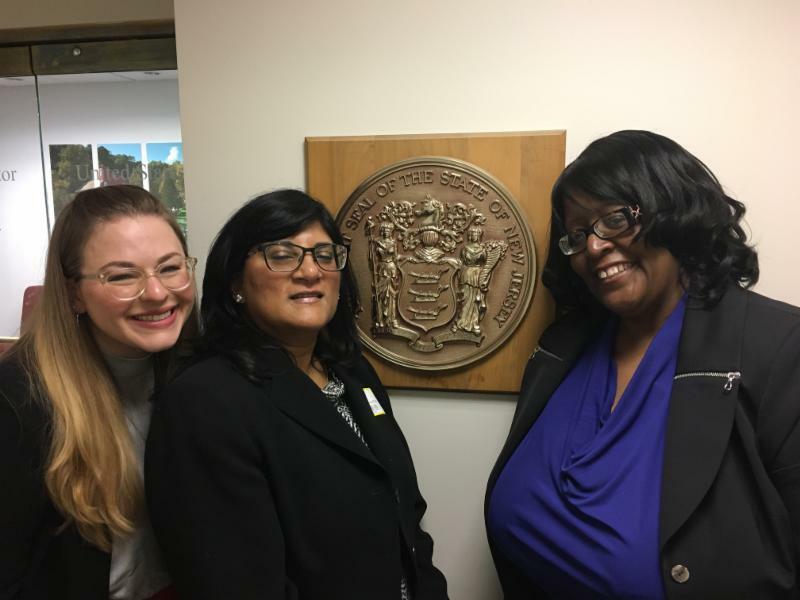 Left to right: Hillary Critelli, LeadingAge New Jersey; Lystra Doobraj, Springpoint Senior Living; Sandra Pettiford, Plainfield Tower West, Springpoint Senior Living. Not pictured: Linda Couch, LeadingAge.